Put together a selection of high quality savoury cheeses (take a look at our suggestions in the ingredient list). Cut the Panforte Sapori into cubes and serve on a cutting board with the cheese. 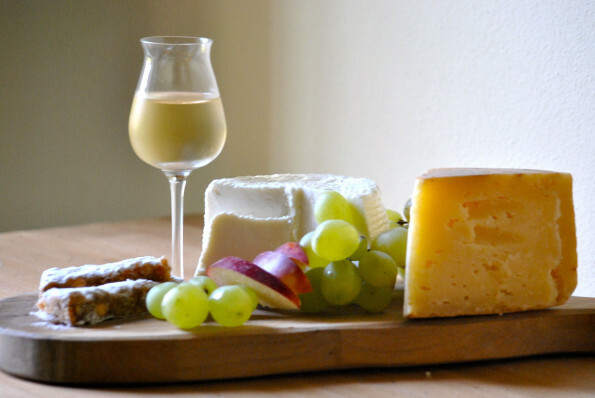 You can also serve the cheese and Panforte with fruit, for instance grapes or figs, too. It will give it a fresher note. Ideal served at the end of a not too heavy meal or as a snack during a reception. Negroamaro Salento IGT, Valpolicella Ripasso Superiore DOC or Chianti Classico DOCG. Many people believe that you must round off a delicious meal with a piece of cheese. If you agree, we would like to suggest an unusual but delicious pairing: try enjoying your favourite cheese with a slice of Panforte, preferably the soft kind: the sweet and savoury flavours will blend in a surprising liaison - a coming together with a gourmet's touch! Add a little sip of Moscato or Passito.. and the magic is quickly created!